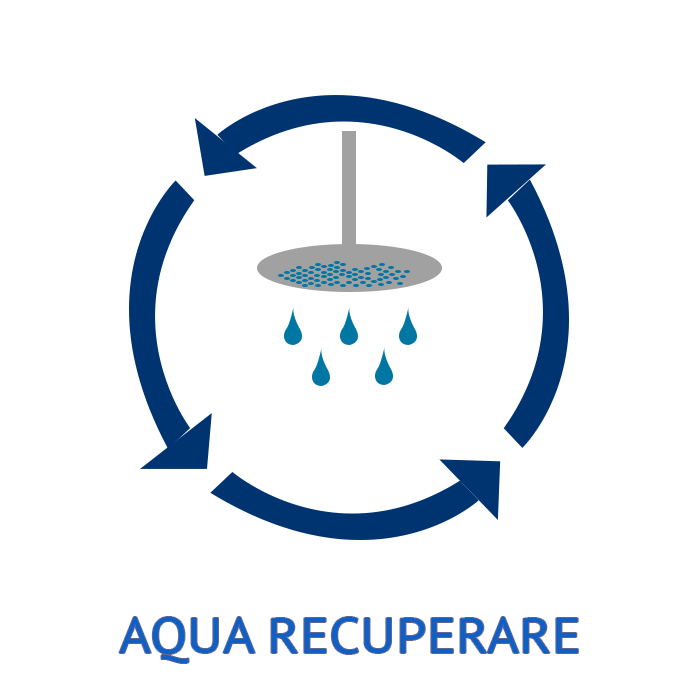 The goal of our project is to reduce the water consumption of both public and private instalations. To do so, a system to return the cold water to the heater before it leaves to the shower head while it is warming up was installed on a regular shower. A water capture system is used to store the residual water from the shower and, using filters, clean it for future use. Figure 1.1 Diagram showing how the system works. The system is able to detect the temperature of the water coming from the heater using LM35 temperature sensors. The user is able to select the minimum temperature at which water is allowed to pass though the valves and into the shower head. The whole process is automatic. For the implementation, a controlled shower system was built, having water pumps to simulate the water pressure from the standard water supply. A different control system with automatic control of temperature was made to emulate a heater. Figure 1.3 The controlled shower built. The system consists of two electric controlled valves, which are used to redirect the water stream to the boiler if the required temperature is not met. To check the temperature, two LM35 sensors are used. One is located before the first valve, which is used to determine if the water should go to the shower head or back to the heater. The second sensor is located in the heater tank and it is used to measure the temperature of the water in the tank. Figure 1.3 This shows the structure of the system. Github wasn't used to develop this project. Bluemix wasn't used in this project.